Please help us to deal with your custom tour package promptly and efficiently by giving us as much details as possible about your tour (How many days & which package or tour you are interested in, etc) so we can deal with your enquiry efficiently. Experience the splendor of Egypt on a private Egypt customized tour with Ramses Tours. Create your perfect Egypt Custom Tour or holiday! Ramses Tours realize that People are different. What someone likes or adores, might not be as attractive to another. You can first check our tour packages here : Egypt Tour Packages if you dont find what you are looking for then you can just send an email : Info@ramsestours.com with all details, we will start customizing your tour. We are aware of individualism and believe that Egypt should be explored and enjoyed according to one?s taste. That is why Ramses Tours has a dedicated team specialized in Egypt Custom Tours, customizing Egypt tours & tailor made Egypt holidays. Whatever your individual requirements may be, you can be assured that we are expert at designing a personal Egypt itinerary, tailor-made Egypt tours specifically to your needs. Start Customizing Now Click here ! Your Egypt Custom Tour itinerary will be tailored around the time you have available to travel, your sightseeing interests, your preferred type of accommodation, meals you wish to included and most importantly your budget for your Egypt Custom Tour. We will recommend you and guide you with Egypt tours must-sees. Our tour operators & Nile cruise custom tour design team will work with you to create a truly magical Egyptian custom tour experience based on your wish and according to your budget. 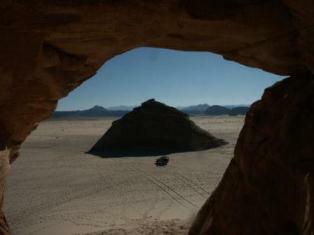 We have a great selection of Egypt private tour itineraries, which even includes Egypt & Jordan. Use these itineraries as guideline for your Egypt Custom Tours, send us the program you want to have as backbone plus you wishes and we will design your Tour that you have in your dream, exclusively for you. We are limited only by your imagination, so let your imagination go as far as you can, Ramses tours will do it for you and provide you wish Your Egypt Custom Tours your way, Your Egypt customized tour. * We highly appreciate that you provide us as much information as possible about your Egypt custom tour, thus we could respond quicker with a better-arranged itinerary that meet your distinct request.